The men from the capital have struggled to hit the heights of their late 80s/early 90s heyday, having failed to become premiers since the first NRL season in 1998. Given last year’s poor performances and now the loss of key man Anthony Milford, it’ll be a tall order for the Raiders to get back to the top of the pile this year. 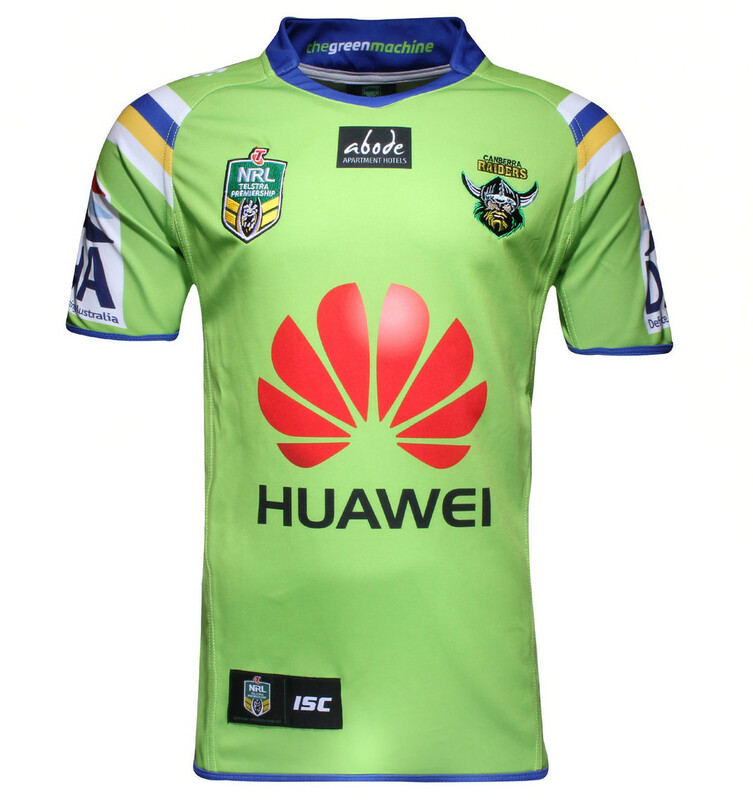 We personally struggle with the Raiders because of their jerseys, which are handicapped straight from the off because of that garish lime green. Their viking logo (by the way, vikings didn’t actually wear horns with helmets, it’s just a myth, someone should tell them) has a much nicer, deeper green around the beard that would be far more appealing on the eye. However, given what ISC have to work with they’ve done a far better job on the home strip than last year. Gone is the annoying cut-off chevron that plagued so many teams last year (maybe they read this blog and changed their ways?) and instead the white, yellow and blue stripes are confined to strips across the shoulders. Add to that the blue collar and trim, and complementing red sponsor – and a Geordie greeting by the looks of it – and the result is a damn fine shirt given the circumstances. The away one is even better. 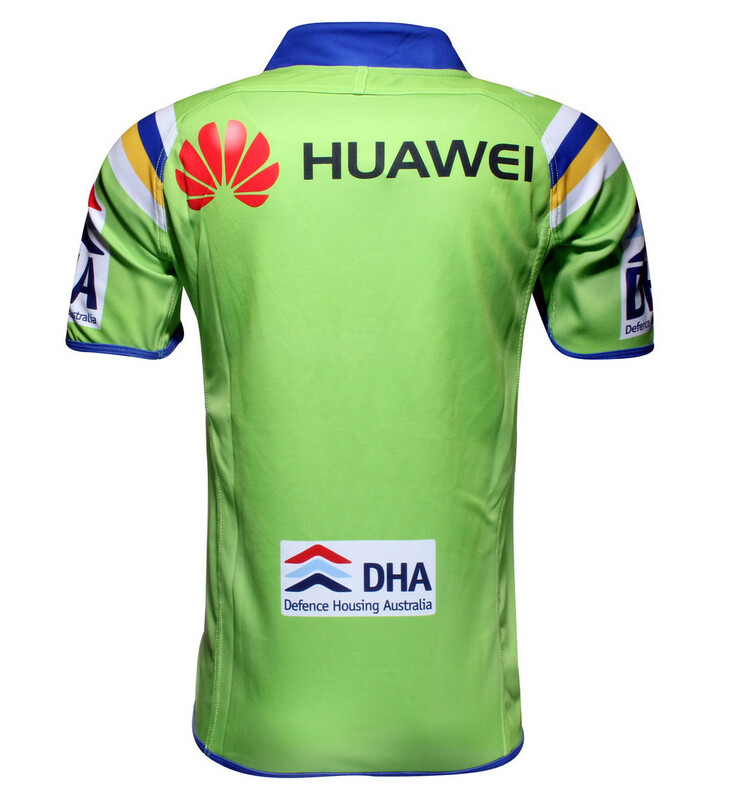 Utilising full blue and green chevrons on a lemon base, with smaller chevrons gradually giving way to white at the base of the jersey. We take issue with the sheer size of the main sponsor logo interfering with things here, but that’s a minor issue. 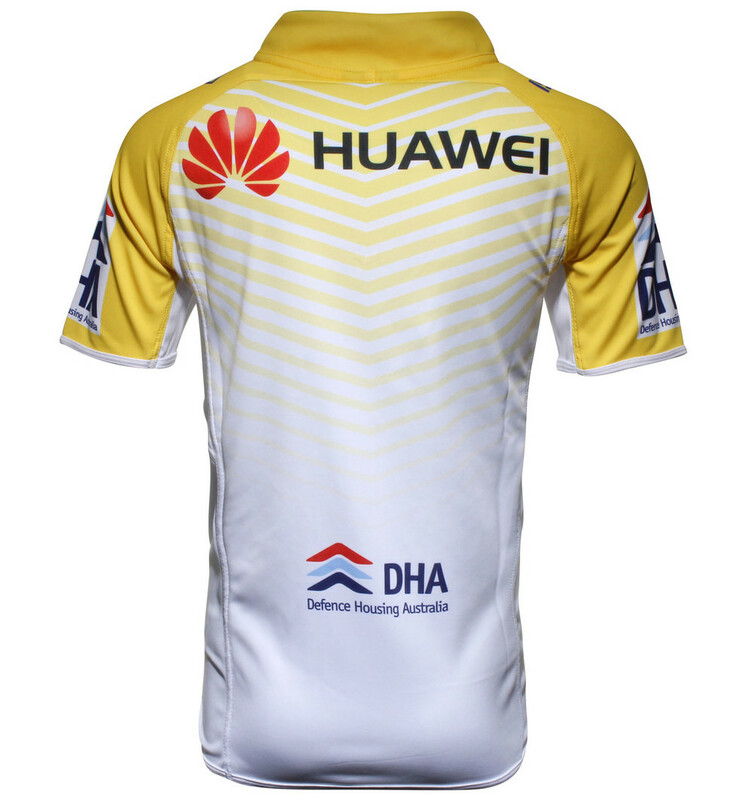 Round the back, there’s more white on show, with the chevrons starting much further up the main body of the shirt. 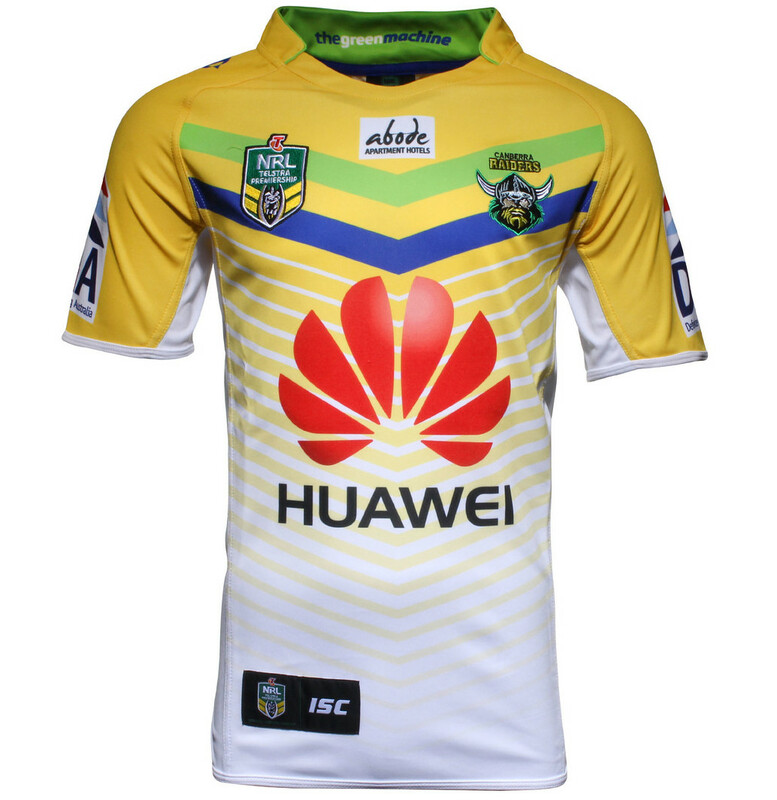 This is a peach of a jersey, with a cool, unusual vibe that tips a nod to rugby league heritage while still keeping things interesting and modern.